Home » Featured » Mirror Mirror Sneak Peak!! Mirror Mirror on the wall….Who is the most excited one of all? Anyone out there excited to see the new movie “Mirror Mirror” starring Julia Roberts?? The upcoming family-friendly film, Mirror Mirror (rated PG) is a whimsical re-telling of the Snow White fairy tale that will capture the hearts and imaginations of young audiences around the world. 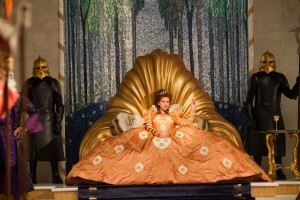 Mirror Mirror hits theaters March 30th, 2012!!! 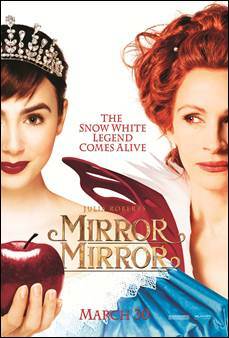 Mirror Mirror features breakout star Lily Collins (The Blind Side) as Snow White, a princess in exile, and Oscar®-winner Julia Roberts as the evil Queen who ruthlessly rules her captured kingdom. 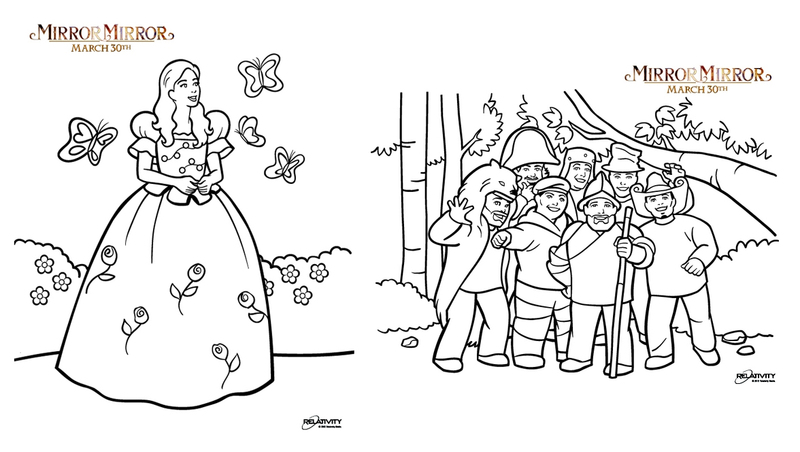 Seven courageous dwarfs join forces with Snow White as she fights to reclaim her birthright and win her Prince in this magical adventure comedy filled with whimsy, romance, and magic. The film also stars Armie Hammer (The Social Network) as the Prince, and Nathan Lane (The Birdcage) as the hapless and bungling servant to the Queen. 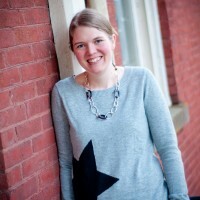 I am so excited to share a special sneak peek of the film! 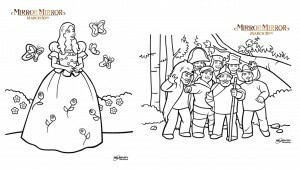 You can also download free coloring pages!! 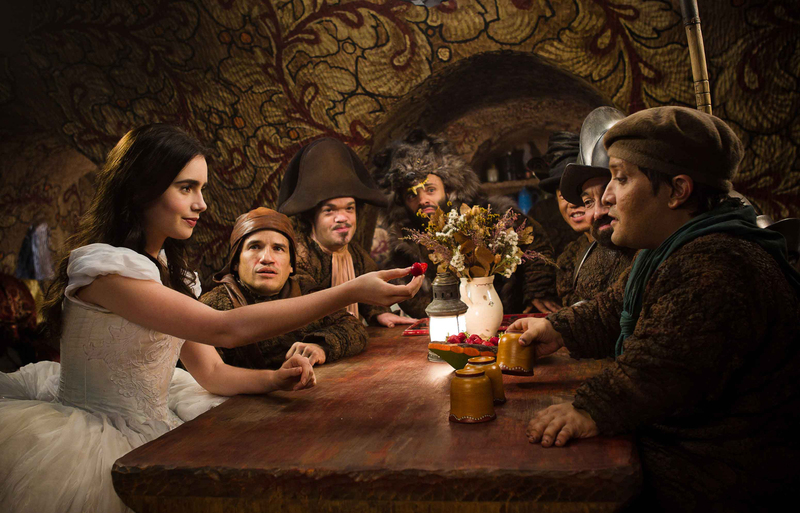 Catch Mirror Mirror in theaters March 30th!! !